Roscommon Harriers A.C. are pleased to announce our 6th annual 10 Mile Road Race is taking place this year on July 6th. The race is located on the outskirts of Roscommon Town, commencing at 11.30 am. Following on from the success of previous years, in particular 2018 with increased capacity saw yet another sell-out pre-race day! 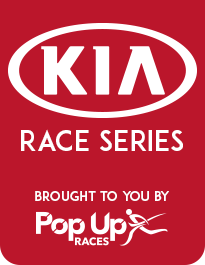 This race is the 6th race in the Kia Race Series 2019. We guarantee all participants a fantastic race day, with a fast-flat scenic route, perfect for those hoping to achieve a PB, it also is ideal for runners new to the 10-mile distance and those wishing to simply enjoy a scenic flat race! Our race distance, course and timing of race also fits nicely with marathon training. Participants on the day can expect exceptional hospitality not only in terms of the post-event food (which is now legendary! and partly the reason for being voted in the top 5, 10- mile road races in Ireland! Every Year!!) but also the local support encouraging runners along the route, if you let us know what club you hail from you might see a sign encouraging you along the way! Every runner receives a complimentary technical t-shirt, medal and generous goodie bag to remember your day. The race is AAI approved, chipped and timed for accurate results. We offer a wide range of prize categories covering diverse age groups, individual runners and club teams, please see below for more information. Special Runners Rate: €20 valid from 1 pm Saturday, 7th July to 12 midnight 14th July 2018 inclusive. Early Bird Offer €25 valid from 12 midnight 14th July 2018 to 12 midnight Jan 31st inclusive. Registration on the day if not sold out, please note this race has sold out 4 weeks prior to race day the last two years. If sold out – race number collection only on race day, please stay tuned to our Facebook page for updates on availability! All other prize categories receive a trophy including the winners of the various age categories and the team event.